Inspired by his student, a single dad promises his young daughter that he’ll cook for her every day. These kinds of shows live or die depending on if the kid character falls on the “adorable” or “insufferable” end of the spectrum, and I can say Tsumugi is super adorable. Her animation is full of great little details, like holding her spoon backwards or simply bouncing up and down in her seat. The apparent focus on Dad’s POV and the whole food/cooking angle helps this show differentiate itself from the wildly popular Yotsuba&!, and in fact reminds me of one of my favorite RMTs, Cooking Papa. Still, it occasionally toes the blatant tearjerker line – particularly whenever Tsumugi’s mother is mentioned – and I’m already a little wary of the teacher-student romance angle. Hopefully the show will focus more on how food and cooking can bring people together rather than Tsumugi getting a high school mommy. I love dad anime and I love regularly partake in cooking, so obviously Sweetness and Lightning is right up my alley. It certainly hits all the right notes from the get go, with a neat mix of adorable shenanigans, workplace stress and a dash of tragedy, though the former two are more than enough to make every minute spent with Tsumugi and her dad a joy. The animators are clearly having the time of their lives with her antics, and literal child Rina Endou pretty much mops the floor with any kiddie-voiced adults in the industry with her performance. Kotori is an interesting third to shake up the sacred dad-daughter duality, both a surrogate mom to Tsumugi and a surrogate daughter to her father. Unlike Iro, I think it’s highly unlikely that Sweetness and Lightning is pushing any kind of romance angle between Kotori and dad. She seems to be there mostly as a foil to both characters, a slightly quirky ego to dad’s diligent superego and Tsumugi’s hyperkinetic id. 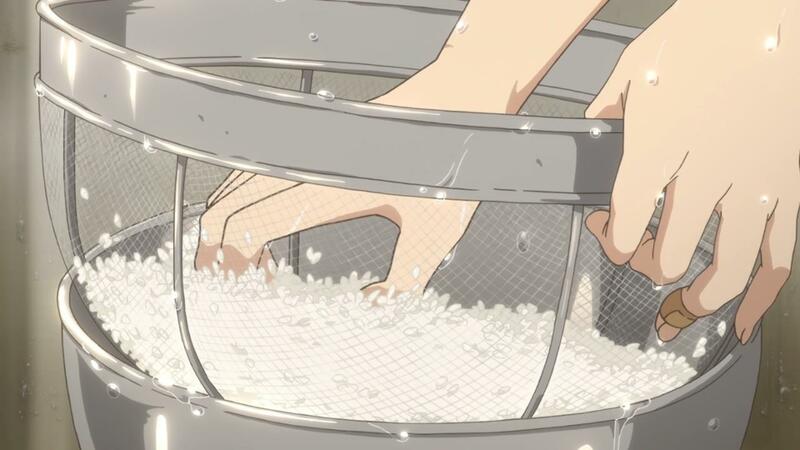 Sweetness and Lightning seems to have entirely different motivations in mind than teasing a ‘scandalous’ hook-up that would fit its overall vibe about as well as a shootout on The Great British Bake-Off, and I hope it stays that way. We’ve already seen one perfectly fine dad anime ruined by a creepy romance already. 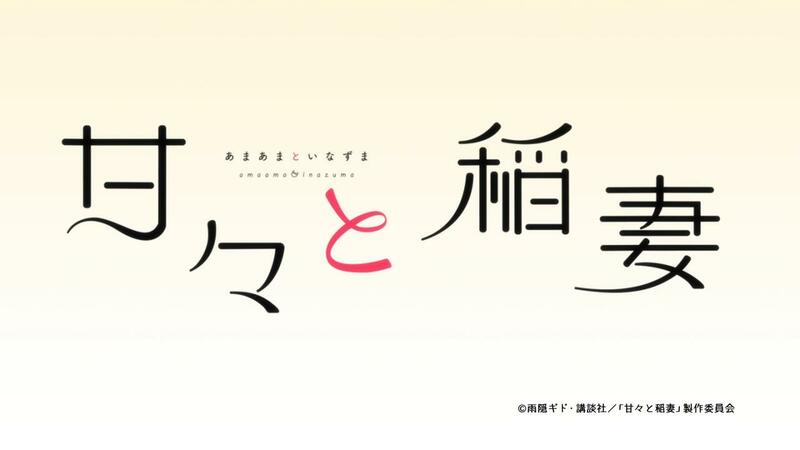 With my busy schedule, I’m not exactly sure how this ended up being the only anime I watched at the start of this season, but I’m glad I picked this one. Like most human beings with a functional heart, I’m a Yotsuba&! fan and Tsumugi’s antics hit the right balance between endearing and precocious that makes these kind of stories so appealing to begin with. As someone who also enjoys cooking, that brings another angle of appeal for me. 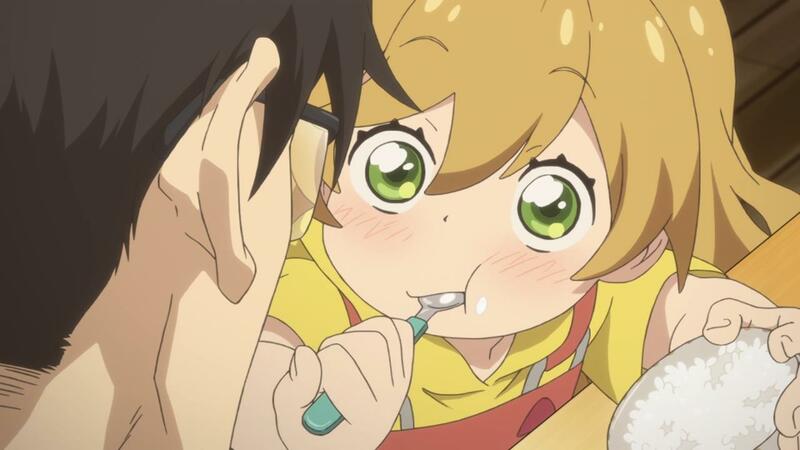 I’m the kind of guy who will put eating with friends as one of his top 5 joys in life, so I’m looking forward to seeing where Sweetness and Lightning goes. Like Iro mentioned though, the single dad struggling to raise his daughter premise makes emotional manipulation super easy, so it remains to be seen if it’s going to go for the easy cheapshots or not. But hey, so far there’s no creepy romance that utterly invalidates the emotional foundation of its entire narrative, so we’re already off to a great start. I finally got around to this and it’s pretty damn cute. I agree w Aqua it doesn’t seem they are going for the sudent/teacher relationship angle…yet. One never knows. Is it me or are most child protagonists in anime blonde? Also regarding the mother, the second episode really doesnt beat at it so here is hoping they don;t use it as the only “feels” device.